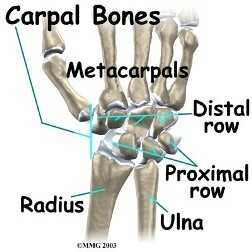 The lunate and the triquetrum make up the ulnar side of the proximal carpal row at the wrist. 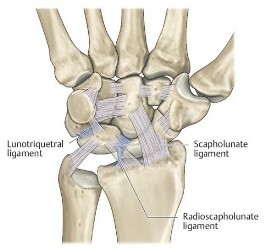 Ligaments, particularly the lunotriquetral (LT) ligament, provide support to this joint. 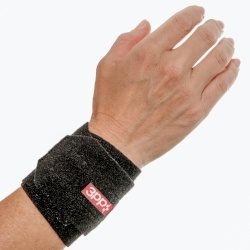 This ligament is horse-shoe or c-shaped and contains a volar, dorsal and proximal component.